Coffee Meets Bagel is an online dating service that connects individuals with a 'friend-of-a-friend' match every day. 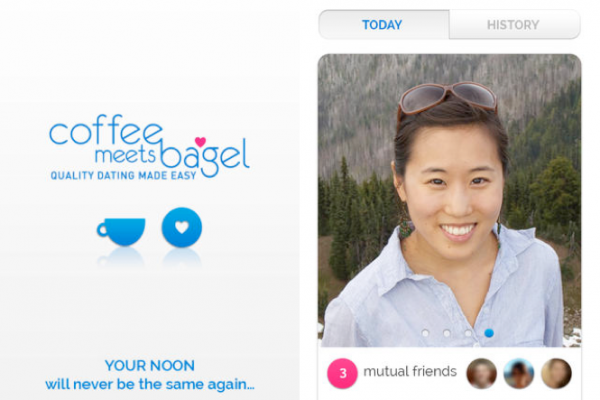 Coffee Meets Bagel is different from most dating apps in that it offers accountability. Potential matches are scraped from real-life connections on Facebook, which ensures that everyone is on their best behavior.